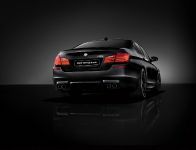 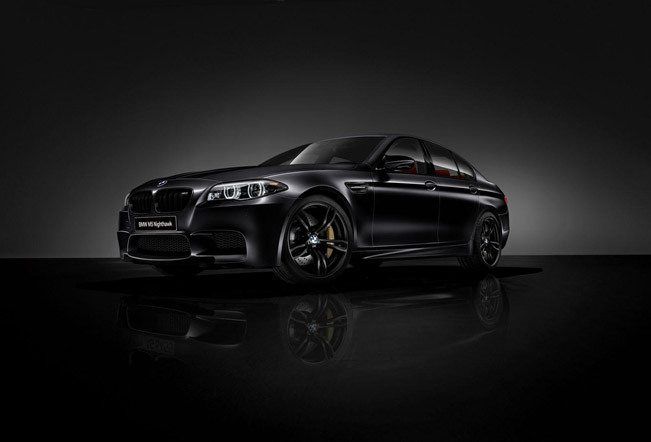 BMW has announced a new limited edition F10 M5, which is available exclusively in Japan. 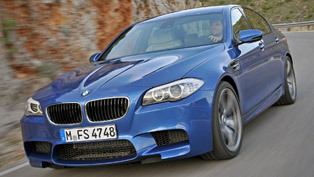 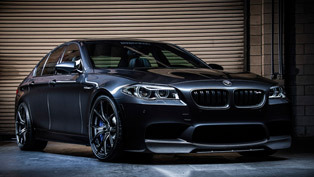 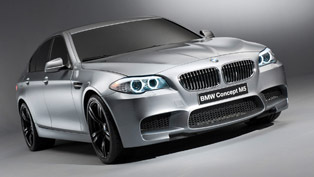 BMW M5 Nighthawk comes with some additional power and nice upgrades. 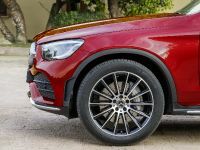 The exterior boasts a Frozen Black paint job as well as a dark chrome grille, adaptive LED headlights and matte black 20" alloy wheels fitted with performance tires. 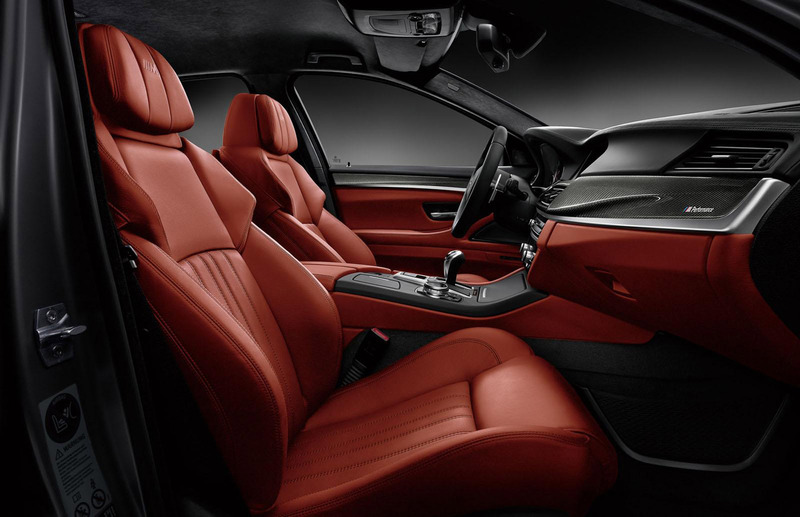 The interior comes with two-tone upholstery - Merino leather seats, carbon fiber trim and an individually numbered badging. 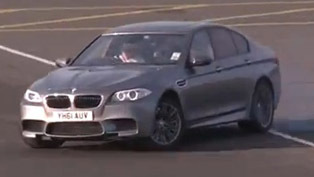 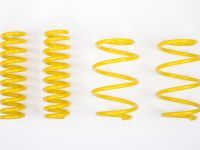 The car is equipped with the Competition package including a sports exhaust system and sportier settings for the suspension, steering and ///M Dynamic Mode. 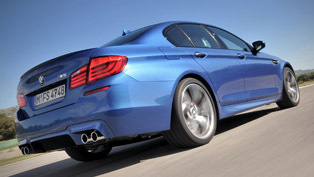 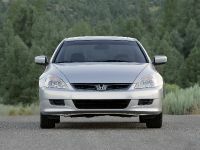 There are also carbon-ceramic brakes and a lane departure warning system. 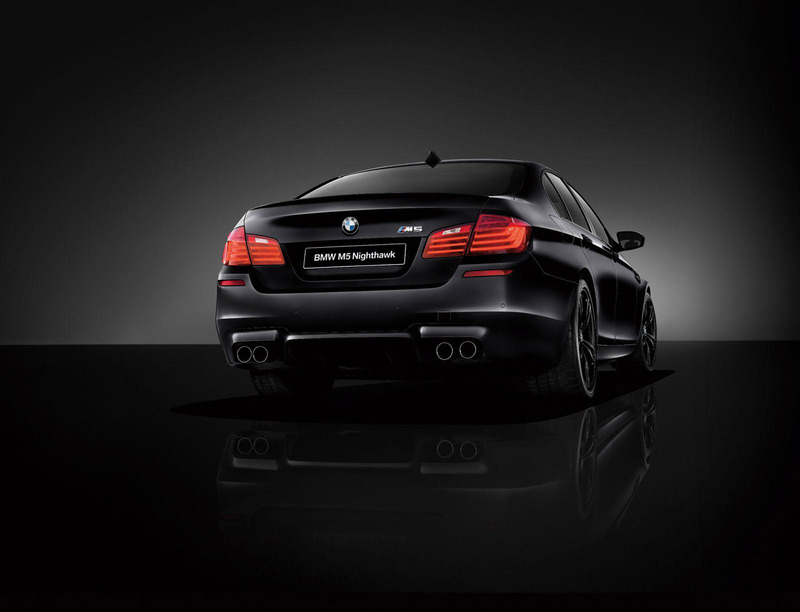 The 4.4 liter twin-turbocharged V8 is boosted to 575HP (423 kW) and 680Nm (501 lb-ft) of torque. 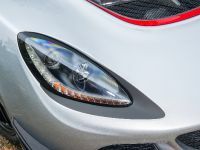 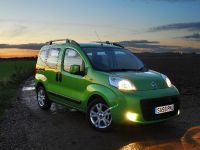 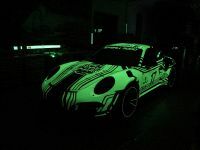 It is connected to a 7-speed M DCT transmission – 0-100 km/h in 4.2 seconds and a top speed of 300 km/h (186 mph) – electronically limited. 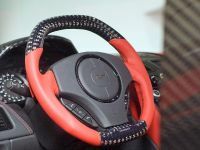 The pricing starts from ¥18,200,000 (around $182,000).